GOD CALLS US TO BE HIS INSTRUMENTS OF MERCY AND LOVE. Summary of ideas of the Sunday readings. The Risen Lord gave His Apostles and their future successors the power to forgive sins and to be instruments of His Divine Mercy; the institution of the Sacrament of Confession. He calls us to be His instruments of mercy. Sunday, its importance in our Christian life. 1. Summary of ideas of the Sunday readings. 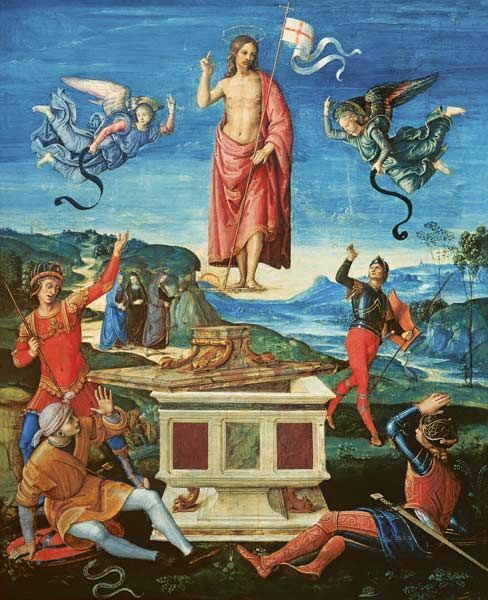 The eighth day, Sunday, is the day when the early Christians assembled and met to commemorate Our Lord’s Resurrection: the Risen Lord, whom they have not seen but in whom they believe by faith through the testimony of the apostles and the signs they made (1st reading, Acts 2:42-47). The importance of Sunday springs from the fact that it is the day when Our Lord resurrected from the dead, and as such, in Christianity, Sunday substitutes the Old Testament Sabbath day. During His Sunday apparitions to the Apostles, the Risen Lord sends them out into the world for the salvation of souls, as the Father sent him. He gives them the authority and power to make God’s mercy present through the forgiveness of sins (Gospel, Jn 20: 19-31). In proclaiming God’s love and mercy for the salvation of souls, difficulties and sufferings are inevitable, but it is through them that one’s faith is tested by fire and grows; it is through them that one shares in Christ’s redeeming task infusing an ineffable and radiant joy in suffering for the salvation of souls, for Christ’s Resurrection is the basis of the Christian hope (2nd reading 1Pet 1: 3-9) during the adversities of this present life. 2. The Risen Lord gave His Apostles and their future successors the power to forgive sins and to be instruments of His Divine Mercy; the institution of the Sacrament of Confession. He calls us to be His instruments of mercy. 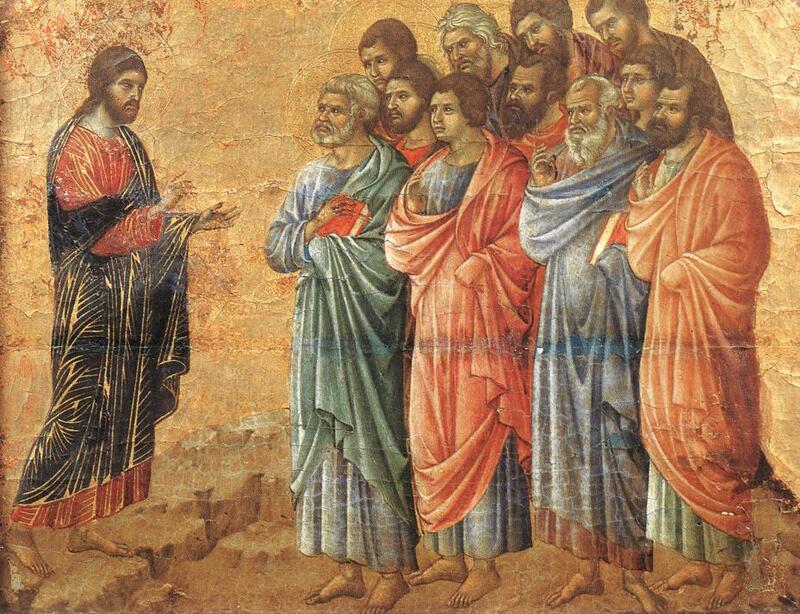 With these words, the Risen Lord gives the authority to His Apostles (and their successors, bishops and priests) to forgive sins and thus be instruments of God’s mercy. This Gospel passage is one the scriptural bases of the Sacrament of God’s Mercy, the Sacrament of Confession. This is also the reason why we Catholics confess to priests and not directly to God during ordinary circumstances. They, as collaborators of the Bishops who are the successors of the Apostles, have the power to forgive sins and when they absolve us, they act in the person of Christ (in persona Christi) such that God Himself absolves us from our sins. Had God wanted us to confess directly to Him, He wouldn’t have given the Apostles this divine power to forgive and retain sins. Hence, we must thank God for giving us this Sacrament, knowing that we are weak, sinner all, and are in need of his cleansing love and mercy. At the same time, with Jesus’ words, “As the Father has sent me, so I send you (v. 21),” Our Lord also sends, not only the Apostles, but all of the baptized Christians to be His instruments of God’s mercy and love. How? Not only by performing works of mercy, but imitating God the Father Himself, who is merciful, living it in all its aspects: being forgiving, compassionate, patient, kind to all, even to those who do us harm. 3. Sunday, its importance in our Christian life. It is noteworthy as well to mention the importance of Sunday, as the day of the Lord, the day of His Resurrection in Christian life. It has always been a practice since the Apostolic times to celebrate the Holy Eucharist and commemorate the Passion, Death and Resurrection of Our Lord on Sundays as a community. We must make an extra effort to give the Sunday Mass its prime priority over and above other activities (rest, work, recreation), to thank, adore, ask God for the necessities of humanity and ours as well, and atone for our sins during the Eucharistic celebration. Come to think of it, God only asks us for an hour a week, as compared to the hours we dedicate to other activities: would we deny Him this meager duration? Dear brethren in Christ, let us “Give thanks to the Lord, for he is good, his love is everlasting (Resp. Psalm).” May Christ and his boundless and inexhaustible love be the basis of our hope so as to imbue us with joy, optimism and serenity, even during moments of suffering as we second God’s call to be His instruments of mercy and love to those around us. 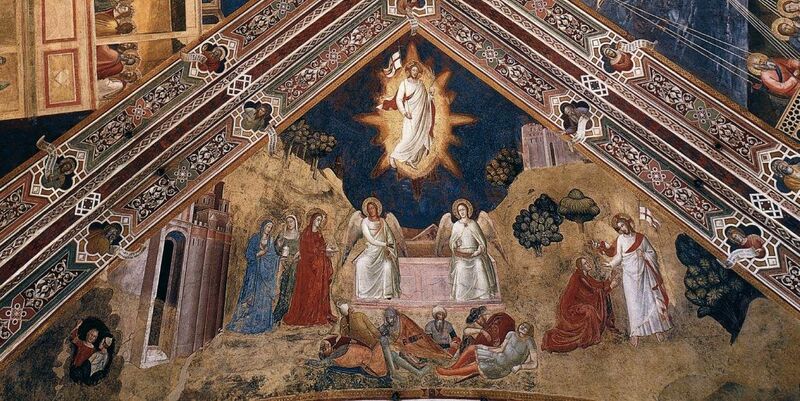 May we be truly grateful to God not only through words and feelings, but also through deeds, in particular, giving more importance to the Sunday Mass where we celebrate the Resurrection of Our Lord Jesus Christ. POPE FRANCIS: JESUS, OUR HOPE. 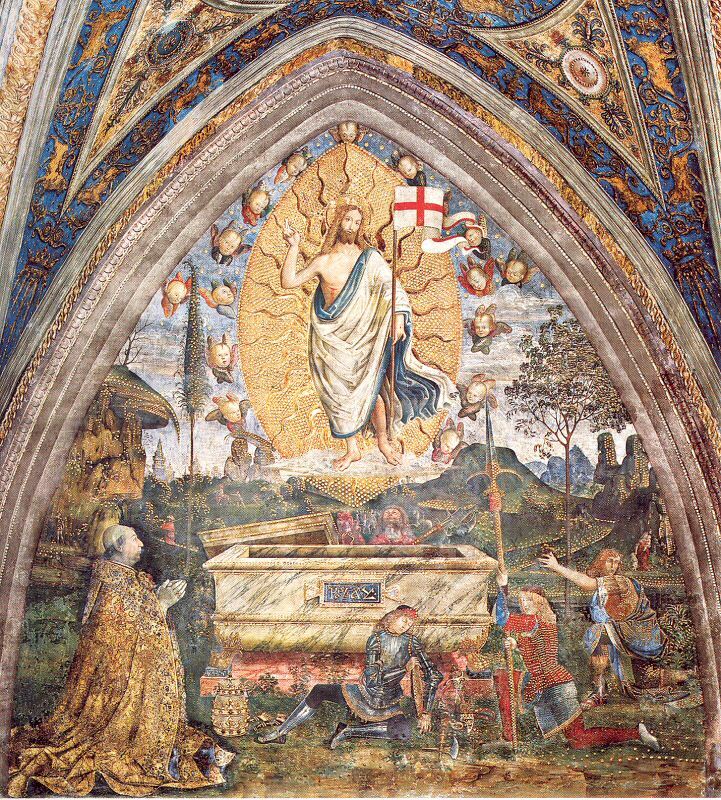 HIS RESURRECTION, THE FOUNDATION OF OUR FAITH. Intro vid + full text.